It happened. Someone from the U.S. Department of Health and Human Services (DHHS), the Centers for Medicare and Medicaid Services (CMS), or maybe even the Federal Bureau of Investigation (FBI) or the U.S. Department of Justice (DOJ) contacted your office and informed you that your business or practice is under investigation. So, what now? How do you respond? Or, more appropriately, how do you respond in such a way as to deter further inquiry and prevent the DOJ from filing charges? Facing a Medicare fraud investigation is an extremely serious matter. Each year, health care providers around the country face millions of dollars in potential liability due to allegations that may or may not be valid. When an investigation is criminal in nature, federal incarceration can even be on the table. Clearly, you cannot afford to take your situation lightly, and you need to devote your attention to ensuring that your case does not end up in trial. 1. Medicare Fraud is a Top Federal Law Enforcement Priority. Medicare fraud is a billion-dollar industry. 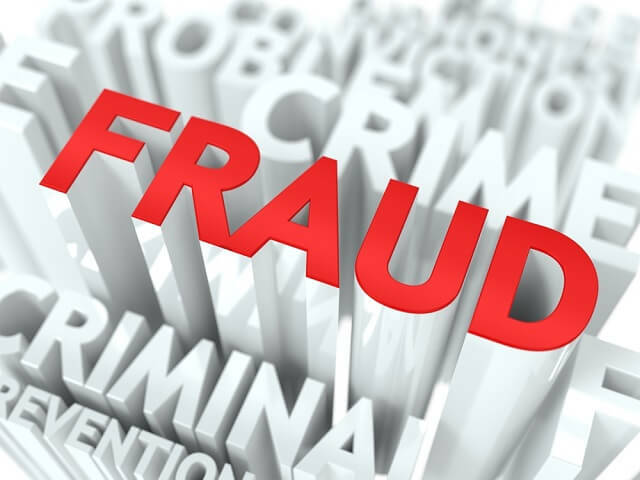 While most high-value fraud cases involve illegitimate operations and organized crime, federal authorities still consider fraud involving upstanding medical practices and healthcare companies to be an important part of the problem. As a result, providers in all sectors are routinely targeted in federal investigations, and in many cases these investigations are leading to business-threatening legal action. 2. Your Problem Is Not Going to Go Away on Its Own. The government’s focus on Medicare fraud means that your investigation is not going to go away on its own. By the time you learn that you are under investigation, there is a good chance that the government has already amassed a certain amount of evidence against you. While many Medicare fraud investigations turn out to be unfounded, in order for the government to drop your case, you are going to convince it to do so. 3. Medicare Fraud Investigations Can Lead to Criminal Charges. While most providers’ first concern upon learning about an investigation is financial liability, Medicare fraud investigations can lead to criminal charges. This means that prison time – substantial prison time – can be on the table. To make sure you and your company’s executives are not at risk for going to prison, you need to ensure that your investigation stays civil in nature. 4. It Matters Which Agencies are Involved in Your Investigation. DHHS, CMS, the FBI, the DOJ, and a variety of other federal agencies conduct Medicare fraud investigations, and they all handle their investigations differently. In order to build an effective defense strategy, one of the first things you need to do is find out which agency or agencies are involved. This can also help you understand if your investigation has the potential to lead to criminal prosecution. 5. It Matters How You Respond to the Government’s Allegations. When facing a Medicare fraud investigation involving any agency, you need to be very careful about what you say and do. In fact, at this point, you should not say or do anything except on the advice of legal counsel. You need to make sure your employees know what to do (and what not to do), and you need to make sure you have a clear and executable strategy focused on the specific issues involved in your investigation. 6. Your Case Does Not Have to Go to Trial. While it is essential to appreciate the risks associated with facing a Medicare fraud investigation, it is also important to understand that not all investigations lead to trial. In fact, not all investigations lead to charges. If you mount an effective defense to your Medicare fraud investigation, the process can be over fairly quickly and with minimal disruption to your daily operations. 7. The Medicare Billing Regulations are Constantly Changing. If you are wondering why you are under investigation (as is often the case), one of the first places to look is the most recent updates to Medicare’s billing regulations. These regulations are amended regularly, and providers that lack comprehensive compliance programs can easily overlook important changes. If it turns out that you are not currently in compliance, it will be important to implement remedial and corrective measures as soon as possible. 8. Your (and Your Employees’) Intent Matters. Or, we should say, it may matter. In criminal Medicare fraud cases, the government must generally prove that the defendant intentionally engaged in fraudulent billing practices. In civil cases, however, evidence of intent (or even actual knowledge) is not necessarily required. When mounting your defense, you need to know the mental state that the government is trying to prove. Most Medicare fraud investigations are the result of honest mistakes, and these can be dealt with if managed appropriately. 9. Your Choice of Legal Representation Matters. As the target of a federal Medicare fraud investigation, you need relevant experience on your side. Federal cases are very different from state cases, and Medicare fraud cases are a unique subset of their own. In order to build the strongest possible defense and resolve your investigation as quickly (and favorably) as possible, you need to put your trust in the right team of health care fraud defense lawyers. 10. Oberheiden, P.C. has a Proven Record of Success in Medicare Fraud Investigations. At Oberheiden, P.C., we have a long and proven track record of securing favorable results for our clients. In the context of Medicare fraud investigations, such a result oftentimes means closing an investigation without our client facing civil or criminal charges. If you are serious about overcoming your investigation with the help of experienced attorneys, contact us today. To contact Oberheiden, P.C. about your Medicare fraud investigation, please call (888) 356-4634 or submit our online consultation form. If we are not available to assist you immediately, a member of our team will be in touch as soon as possible.